I am stuck in a rut and trying to figure my way out. I don't know where to start so I am just procrastinating at doing anything to it!!! Here are the major areas that need attention but in what order???? Engine runs but needs carb rebuilt and new headers. PO dropped the car or bottomed out on something and crushed it. The floor pan needs some welding to finish the PO's R&R. Parts of the AC are missing. Suspension is in decent shape so I was going to save that till later and do an upgrade instead of OEM rebuild. I would start with carburetor and headers. Header damage likely parking lot speed bumps. 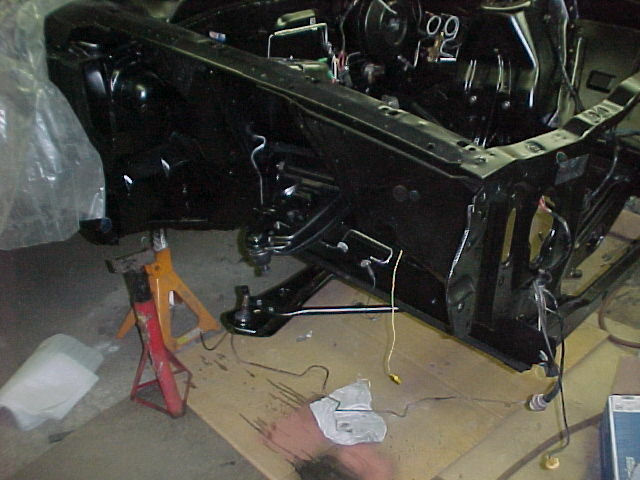 Finish welding the floor pan while you look for seats or have them on order. Tires, so you can drive it while working on the rest. Winter is coming, heater controls. A/C last, summer is almost over. What Don said. Get it running & driving, then worry about making it pretty or comfortable. Chrome won't get you home. I would follow Don's order. I don't know the interior colour code of your ride and I also do not know the shipping costs to the US but I do have a complete fold down rear seat with quarter panels and sailpanels in avocado in stock. If you're interested I can provide you some pictures and we can negotiate on the price. Just being honest here. Don’s advice is very good. But I really think you need to decide what you want the car to end up as before doing anything. I’ve seen mention from you of a 460, keeping the 351, etc. decide what you want and go from there. 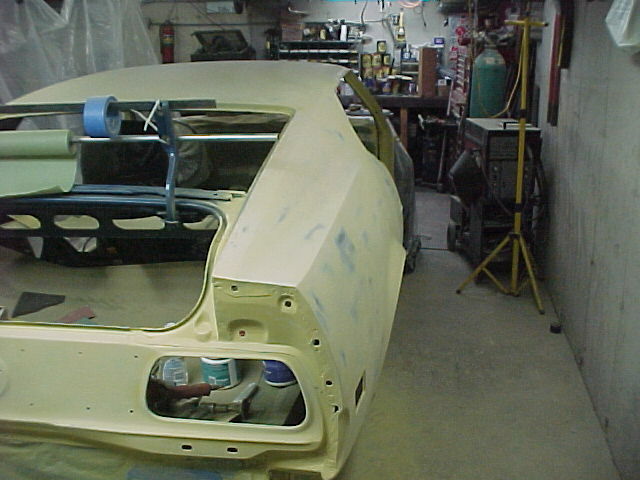 If you’re going to paint then do the interior last and build the engine while it is at bodywork and paint unless you plan on doing that yourself. 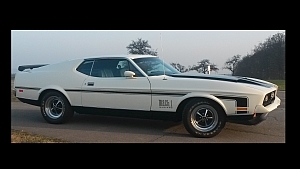 Took me right at 4 years to get it driveable - still not 100% 4 years after that (little nit-noid things). (09-01-2018, 10:21 AM)scgamecock Wrote: I am stuck in a rut and trying to figure my way out. I don't know where to start so I am just procrastinating at doing anything to it!!! Here are the major areas that need attention but in what order???? Thanks Frank but I dont have a fold down rear seat. I really wish I did! The original color of the interior was white. I need pretty much everything including 1 seat bottom. (09-01-2018, 12:44 PM)73pony Wrote: Just being honest here. Don’s advice is very good. But I really think you need to decide what you want the car to end up as before doing anything. I’ve seen mention from you of a 460, keeping the 351, etc. decide what you want and go from there. 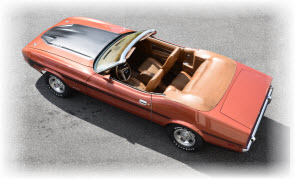 If you’re going to paint then do the interior last and build the engine while it is at bodywork and paint unless you plan on doing that yourself. I appreciate your honesty and you are right I have been all over the place but I do have a goal in mind now. After a lot of research I am going to keep the Cleveland even though I do have a 460 block and heads. From a cost stand point I think rebuilding the 351 will allow me to do a little more motor work including aluminium heads. As for the rest of the car it will be stock with the exception of upgraded suspension. Im going to do everything myself with the exception of the R&R front and rear glass and the headliner. (09-01-2018, 01:04 PM)c9zx Wrote: How bad is the header damage? Chuck. the headers are rusted and crushed bad at the weld where the tubes come into the collector. 1 of the tubes is almost completely crushed and has rust holes in it. There is no saving them. Thanks all for the advice! Once this God awful heat goes away and we get some nice fall weather I will start working on it again. 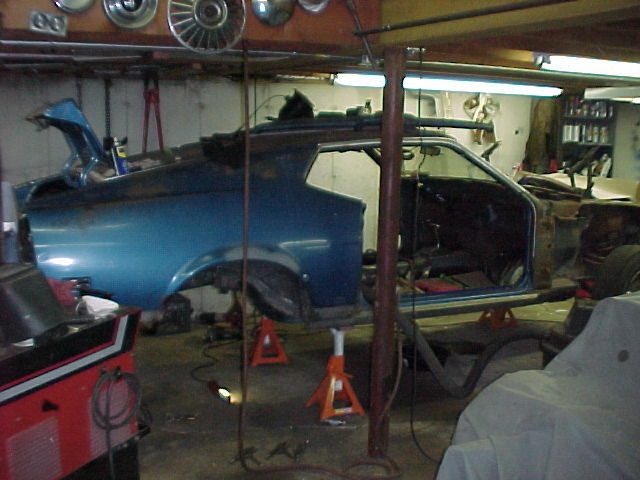 Since it is running I am going to try and get it driving by finishing the welding of the seat perch, getting a seat so I have 2 seats in the car, then rebuilding the carb and replacing the headers. 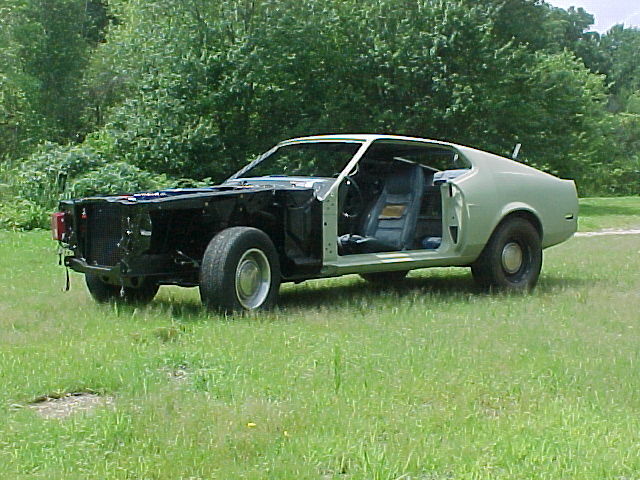 Then I will start on the body work. Luckily the car is structurally sound with no rot in the sub frame or shock towers so I can focus on the external body itself. once the body is finished and primed I will move on to these in this order. replace front and rear glass. aftermarket wheels and tires 17x8 fronts 17x9.5\5.5 bs rears. Not sure tire size yet but biggest I can put on the rear without having them stick out. Any suggestions? 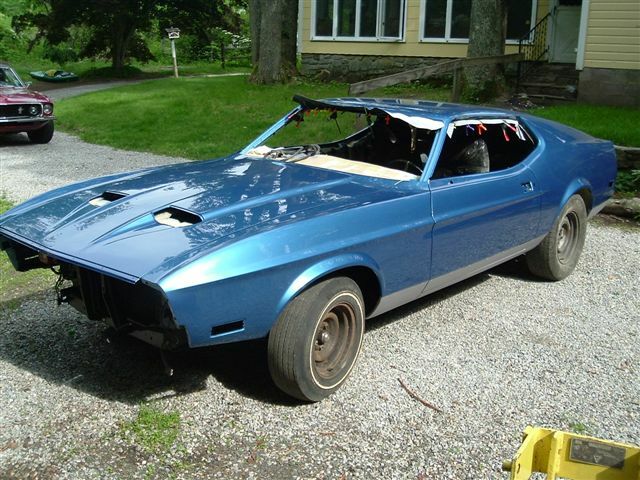 Wanted a rolling chassis at this point..
At this point, I installed engine & trans so it could move under it's own power. If you plan on doing a rolling restoration while driving the car, then I'd leave the engine and suspension in place while doing the rust repairs and body work. At some point they need to come out, preferably before final pint. As others have noted, you need to come up with a firm plan, or you'll chase your tail for years.